Someone dear to me – we’ll call her Jane – is in a relationship that I think is somewhere between very unhealthy and outright dangerous. The latest update on her and her boyfriend John read like an engraved invitation into The Drama Triangle. In my mind, Jane is the victim. John is the persecutor. It’s a “Help Wanted” ad for a rescuer. I have an exhaustive résumé as a rescuer, and the temptation to apply is overwhelming. I’ve been down this road enough times to know it won’t help. The Drama Triangle creates only victims. Jane is a victim. John is a victim. The most powerful choice I can make here is to not volunteer as a victim in the rescuer role. How can I help empower this person? I took care of what I needed immediately – sleep, rest, time to process and calm down. When reflecting on how to empower Jane, I realized what I need is to not see her as a victim. I have no idea how to empower victims – I only know how to ‘save’ them. I have mad skills when it comes to empowering intelligent, thoughtful, loving, beautiful, hard working women with dreams, however. To see Jane as the amazingly capable woman I know her to be, I need to transform how I’m thinking about her. 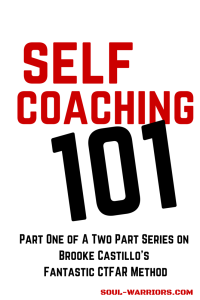 For that, we’re turning to this month’s media pick, Brooke Castillo’s Self Coaching 101. I love this book so much that I’ve written about it previously, and am revisiting it this month with a two-part article. I think you will love it too. One of the many reasons I admire Brooke and her work so much is her generosity in sharing this material. She has made the entire book available in PDF form downloadable for free. She has allowed anyone to reprint any portion of the book, as long as it is attributed properly. 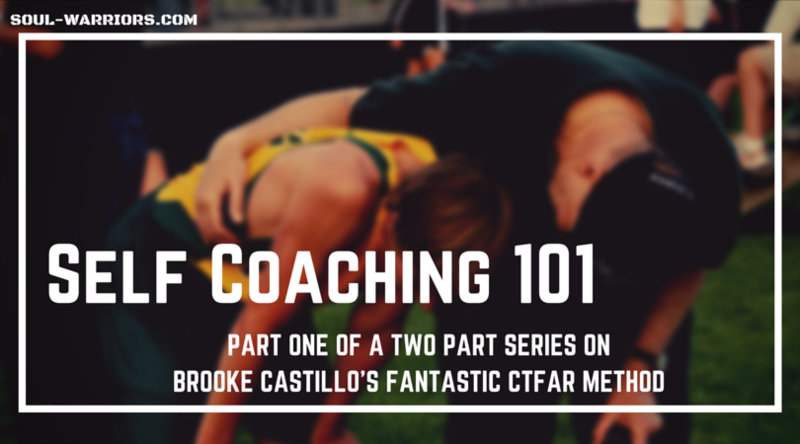 To ensure I’m doing that properly, please note that anything I’m quoting from the book and the CTFAR image has been reprinted from Self Coaching 101: Use Your Mind – Don’t Let It Use You with permission from the author Brooke Castillo – www.brookecastillo.com. “We cannot control the world. Nothing outside us has the power to make us feel good or bad. It is not the circumstances, but our thoughts about the circumstances that create our experience. We attract what we think about. 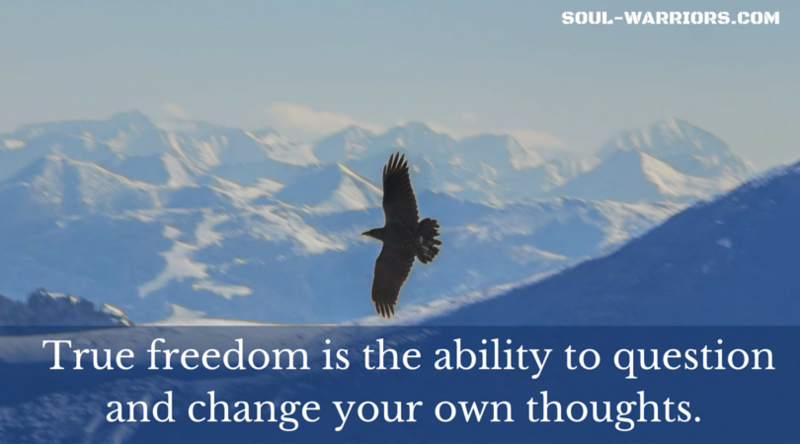 We can’t permanently change our results without changing our thoughts. 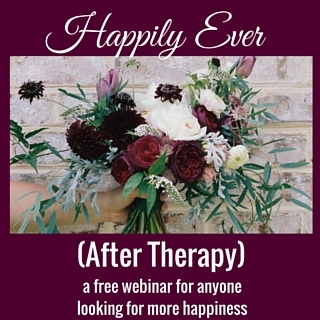 We don’t have to get anything to feel better; we can feel better right now. From these truths, Brooke developed what she calls “the Model” – sometimes known as CTFAR as well. 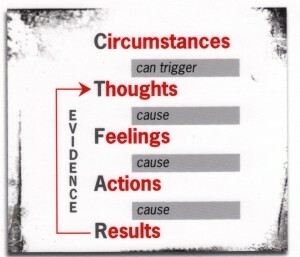 This is that Circumstances can trigger thoughts. Thoughts, in turn, cause feelings. Feelings cause us to take actions. Actions generate results. These results then provide additional evidence for the original thought. “Circumstances: Things that happen in the world that we cannot control. Thoughts: Things that happen in your mind. This is where you self coach. Feelings: Vibrations that happen in your body—caused by thoughts, not circumstances. Actions: Behavior—what we do in the world. Caused by feelings, determined by thought. Let’s take the situation with Jane and John and run one thought through the model. Circumstance: Jane is in a relationship with a man who drinks often and yells at her when drunk. Thought: Jane is being damaged emotionally. Actions: (potential options) Meet with Jane to tell her to leave this man. I explain to her that she needs help and give her Melody Beattie’s Codependent No More. Confront John and tell him to leave her alone. Results: Jane is being damaged emotionally – by me. Sometimes it’s not easy to see how your actions create results that provide evidence for the original thought. I want to walk through my various potential actions here to see how each one is resulting in evidence for the original thought. I don’t trust her choices. I don’t think she is capable of creating a healthy relationship. I think I know better than her, even though I’m not living her life. I think she is a victim. All of these things are potentially emotionally damaging to Jane. I think she is emotionally unhealthy and needs to change. All of these things are again potentially emotionally damaging to Jane. I don’t think she is capable of even making her own decisions. I have zero respect for her. Again, all potentially emotionally damaging to Jane. Jane is socially savvy and has managed her life well up to this point. Jane is on her own heroine’s journey and is capable of writing her own story. Jane has access to the same loving Divine being that I do. Jane is street smart and capable. Jane is bringing up an emotional wound to the surface in order to heal it. Jane is capable of charting her own destiny. It’s possible that none of these are true, however, it’s also possible that all my negative thoughts about the situation are untrue. I don’t – and can’t – know. What I can know is how I want to feel and how I want to treat Jane. Thought: Jane is bringing up an emotional wound to the surface in order to heal it. Actions: (potential options) Meet with Jane and say something like “It seems like you’re not that happy with John and I think you said you had a family history of alcoholism. It feels to me like you might be bringing up an emotional wound to the surface in order to be healed….tell me where I’m wrong.” And then offer my support. Results: Jane has a safe space to open up about an old emotional would if she chooses to bring it up for healing. We’ll be looking at the model in different situations next week. In the meantime, I invite you to leave a comment and let me know what questions you have so I can address them in the next post. Want to Read My Love Letters?